Whether you subscribe to a more traditional investment style or an approach oriented around environmental, social and governance (ESG) considerations, we believe in active investment management that considers your financial goals and tolerance for risk. We are a voice of reason through market swings providing diversified investment solutions that seek to grow, maintain, and protect your assets throughout your lifetime. 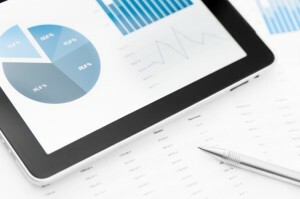 We utilize a unique risk profile questionnaire to better understand your tolerance for portfolio volatility. This questionnaire, when combined with a detailed understanding of your long term goals and life stage, allows us to develop a customized investment strategy for your particular situation. Successful investing is long term and is achieved by maintaining an optimal balance between risk and return. At Clearview Wealth Management, we believe that a diversified, actively managed portfolio will serve our clients well during all types of market volatility. Our detailed research in fundamental valuation metrics allows us to uncover investments that focus on high quality, high competitive advantage and attractive risk reward attributes which can reduce downside volatility over an investor’s time horizon. We assess global macro-economic factors and trends to help develop our investment thesis which in turn steers the individual investment selections within your asset allocation. Portfolios are invested over multiple asset types including large, mid and small equity capitalization, developed and emerging markets, and short, intermediate and long term fixed income. To better understand the role Hybrids play in Clearview’s portfolios, click here. We believe fee transparency is important and therefore do not accept commissions or use investments that carry loads. Because we are always working in your best interest, we carefully assess investment choices not only from risk/reward metrics, but also from a cost/benefit analysis to make the portfolio as cost efficient as possible. By utilizing No-Transaction-Fee (NTF) mutual funds and Exchange Traded Funds (ETFs), we are able to avoid many internal management and marketing fees customarily found with mutual funds that cause erosion to returns. In larger client portfolios, individual stock positions are used to further reduce ongoing costs. Along with strategically managing your asset allocation, careful consideration is given to asset location in order to maximize overall tax efficiency when placing assets in taxable vs. tax-deferred accounts. Client portfolios and the underlying investments are reviewed at multiple levels within the firm. Using industry research and sophisticated software, investments are managed at both a firm-wide level and an individual client level to ensure only the most appropriate investments are being employed. At a high level, global economic data and trends are monitored and the information is used to make investment decisions that lead to under/overweighting areas of concern or opportunity. These themes are implemented across the firm as client portfolios are reviewed. Individual portfolios are reviewed multiple times throughout the year based on complexity and need, reflecting the client’s particular asset allocation targets and unique requirements.